The calculated destruction of the Bosnian Muslims of Srebrenica in July 1995 stands out as one of the worst crimes committed in Europe after the Second World War. 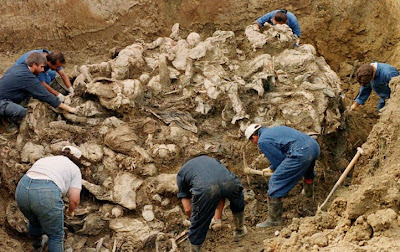 The extermination of the Bosnian Muslim males from Srebrenica, accompanied by the forcible transfer and persecution of the Bosnian Muslim populations from the Srebrenica and Žepa enclaves all together encompass the gravest of crimes under international criminal law. The genocide, extermination, murder and persecution were executed with systematic and cold brutality. Victims were forced to endure dire and inhumane conditions during their transportation and detention, often for extended periods of time. During the mass executions, soldiers fired into over-crowded rooms, fired at prisoners—some of whom were blind-folded and had their hands tied behind their backs—for hours on end or called out the wounded prisoners only to identify and kill them. The forcible transfer of the Bosnian Muslims from Potocari and Zepa was a massive operation, involving the removal of tens of thousands of people over a few days. The Trial Chamber recalls the heart-wrenching evidence of the “screening” in Potocari, where hundreds of husbands, fathers, sons and brothers were separated from their families. The campaign of persecution on the basis of the ethnicity of the victims was massive in scale and was the underlying motif of both joint criminal enterprises. The manifold persecutory acts that were committed with discriminatory intent were not random or isolated incidents; these were crimes committed in a pattern on a large scale accompanied by brutality. These factors increase the gravity of the crimes. The gravity of these crimes is further demonstrated by their terrible impact on the victims and their relatives. For the thousands who lost their lives at the many execution sites, the consequences were absolute. Those few who survived the executions underwent extreme suffering and severe mental and physical trauma, some only to be later recaptured and killed. Like the few survivors of the executions, the Bosnian Muslim women, children and elderly people forcibly removed from Srebrenica suffered not only their own physical and mental trauma as a result of the conditions of life in Potocari and their separation from their men, but also the sudden loss and disappearance of their male family members or the uncertainty about the fates of the men yet unaccounted for. This has been termed the “Srebrenica Syndrome.” Those who were forcibly removed from Srebrenica also experienced a sharp decline in their standard of life due to the loss of their homes and possessions as a result of the expulsions. The sheer scale and cruelty of these crimes and the continuing impact they have had and still have on so many victims and their relatives is overwhelming. The victims of the crimes were particularly vulnerable. The thousands of Bosnian Muslims separated from their loved ones and forced from their homes in Potocari and Zepa were predominantly women, children and elderly people. The Bosnian Muslim men who were executed had been rendered helpless before they were murdered; they were unarmed, exhausted, confined and sometimes wounded. The Trial Chamber considers the vulnerability of the victims—both of those who survived the executions and those who did not—as an aggravating factor in sentencing. The Prosecution further submits that the willing participation of the Accused in the crimes constitutes an aggravating factor relevant to sentencing. The Trial Chamber notes that willingness in the sense of voluntariness is a necessary component of the crimes and therefore does not consider it to be an aggravating factor. The Trial Chamber acknowledges that the good behaviour of the Accused during trial and at the UNDU has enhanced its ability to conduct the trial in a fair and expeditious manner. The good behaviour of the Accused during trial and while on provisional release is considered generally as a mitigating circumstance. Similarly, the fact that none of the Accused had a prior criminal record and all had been men of apparent good character before these events has also been considered generally as a mitigating factor. Popović played a key role in the organisation and execution of the genocide. Popovic knew of the plan to murder from the time of its inception, and was privy to each development: from the discussions at Bratunac before the operation began, to the capture of Bosnian Muslim men from the column, to the large scale killings at Zvornik. Popovic had an overview of the full scale and scope of the murder operation. He visited almost all the major killing sites while prisoners were being detained and thus had visual confirmation of the thousands of individuals destined for execution. He participated vigorously in almost every step of the murder operation. The Prosecution submits that Popovic’s senior position and his abuse of authority should be considered as aggravating circumstances. The Trial Chamber has found that Popovic held a relatively senior position as Chief of Security in the Drina Corps. In this position of authority, he participated in the JCE to Murder at a managerial level organising the killings, sourcing fuel for the operation, coordinating transport for the victims and liaising with other members of the VRS. It was the abuse of this senior position within the VRS which allowed him to utilise the resources at his disposal to orchestrate the crimes. The Trial Chamber considers this as an aggravating factor. The Prosecution argues that the zeal or enthusiasm demonstrated by the Accused while committing the crimes also constitute aggravating factors. Popovic demonstrated his dedication to the murder operation through his robust participation in the mass executions of 14–17 July, and his commitment to completing the murder operation by his involvement in the execution of the patients from the Milici Hospital around 23 July. The zeal with which Popovic committed the crimes for which he has been found guilty is also demonstrated by his enthusiastic report on the success of the murder operation, giving it a top mark. The Trial Chamber notes that Popovic ordered the execution of a young boy at the field near Orahovac on 14 July 1995. While the order was not ultimately carried out, the giving of such an order displays that Popovic had no compunction engaging in behaviour of brutality, regardless of the age or vulnerability of the victims involved. The Trial Chamber considers the manifest enthusiasm with which Popovic committed the crimes to be a relevant aggravating factor. As noted, voluntary surrender to the Tribunal may constitute a mitigating factor. The Prosecution submits that while Popovi} did surrender to the Tribunal, he did so two and a half years after his indictment was made public. In light of the significant delay in Popovic’s surrender, the Trial Chamber gives limited weight to it as a mitigating factor. The Trial Chamber notes that Popovic called a number of witnesses to give evidence as to his general character and demeanour throughout the conflict. These witnesses testified that Popovic was strongly pro-Yugoslav, never showed signs of ethnic intolerance, held close personal friendships with Muslims and Croats, demonstrated numerous instances of concern and kindness for Muslim people he was familiar with, was a family man and was a highly regarded and disciplined officer. The Trial Chamber accepts this evidence but finds that, in light of the crimes for which Popovic has been convicted, such factors have very little impact in mitigating the severity of his sentence. The Trial Chamber has noted above that expressions of both remorse, and sympathy for victims, can constitute mitigating factors. 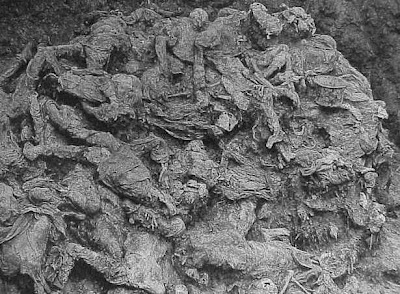 While Popovic has expressed no remorse, the testimony of PW-172 indicates that there is some evidence that Popovic was emotionally affected by the crimes which occurred at the Bisina execution site. However, in view of the fact that Popovic played a significant role in orchestrating the murder operation, the Trial Chamber finds that this carries very little weight as a mitigating factor. The Trial Chamber notes that Beara submits that in the event he is convicted the sentence should not exceed nine years. Beara was a central figure in the organisation and execution of the genocide. As the most senior officer of the Security Branch—the entity charged with a central directing role—he had the clearest overall picture of the massive scale and scope of the killing operation. Further, from his walk through Bratunac on the night of 13 July, his visits to the various execution sights and the extensive logistical challenges he faced throughout, he had a very personal view of the staggering number of victims destined for execution. Beara was a driving force behind the murder enterprise. The Prosecution submits that Beara abused his senior position as Chief of Security in the VRS Main Staff, and that this abuse of authority ought to be regarded as an aggravating circumstance. Beara was a vital member of the JCE to Murder. As Chief of Security in the VRS Main Staff, cloaked with the authority of Mladić, he gave directions and orders to the subordinate troops who implemented the murder plan. It was the abuse of this senior position within the VRS which allowed him to utilise the resources at his disposal to orchestrate the crimes. The Trial Chamber therefore finds that Beara abused his position of authority, which it takes into account as an aggravating factor. The Prosecution argues that the zeal or enthusiasm demonstrated by the Accused while committing the crimes constitutes an aggravating factor. The Trial Chamber finds that Beara’s involvement in the murder operation was not characterised by a particular “zeal”, but his actions were cold and calculated. Even in the early stages of the murder operation, Beara’s approach is demonstrated by the conversation he had with Deronjić on the night of 13 July, when he announces his intent to “kill all” the detained men, and without pause to consider or comment upon the horrific nature of his “orders” he launches into a series of heated exchanges about the best location for this reprehensible undertaking. Beara submits that his good character before the war in the former Yugoslavia, assistance to non-Serbs during the war and lack of discriminatory intent towards other ethnic groups should each be regarded as mitigating factors. In support of these propositions, Beara called a number of witnesses—including members of Beara’s family—who testified to his character, actions and attitudes toward other ethnic groups. Although the Trial Chamber acknowledges this evidence, the fact remains that Beara has been found responsible for committing crimes of the highest level of gravity. The Trial Chamber therefore gives very limited weight to Beara’s purported good character as a mitigating factor. Beara submits that his surrender to the Tribunal ought to be considered as a mitigating factor, highlighting Beara’s plea in October 2004 to other fugitive indictees to surrender. The Prosecution notes that Beara was a fugitive from justice for almost two years and that, during this time, he bragged in an interview about how he would not surrender. The Trial Chamber acknowledges Beara’s surrender, but in light of the length of time for which he remained a fugitive it gives that surrender limited weight as a mitigating circumstance. Beara also makes brief reference to his age as a mitigating circumstance, noting that he is now 70 years old. The Prosecution submits that the fact of Beara’s advanced age is “trivial” and should not materially decrease the appropriate sentence for the crimes committed by him and the massive suffering they inflicted on thousands of people. The Trial Chamber acknowledges that advanced age can be considered as a mitigating factor, and gives some minimal weight to it. Beara further submits that the Prosecution in the Blagojević case said that Beara “can’t hold a candle” to Blagojević, and that a “[Main] staff officer is but an empty vessel and only has the power that is given to him by his commander. Beara is nothing but […] an empty vessel, until Mladić gives him those orders”. For this reason, Beara submits that he should not receive a sentence greater than that imposed on Blagojevic. The Trial Chamber attaches no importance to this submission considering the overwhelming evidence that the Trial Chamber has received on Beara’s authority and role in the events. The Trial Chamber has found above that Nikolić played an important role in the JCE to Murder in terms of planning and organising detentions and executions. His contribution can properly be described as persistent and determined; he demonstrated a resolve to carry out his assigned tasks in this murderous operation. However, the Trial Chamber has also determined that Nikolić’ did not share the genocidal intent and his role in the genocide was that of an aider and abettor. The Prosecution submits that, although Nikolic held the lowest rank (second lieutenant) among the Accused, he used his senior position as Chief of Security to perpetrate heinous crimes in conscious disregard of his duty to follow army regulations and the Geneva Conventions. Nikolic argues that, as a second lieutenant, he “did not have any importance” and that he lacked the degree of authority as argued by the Prosecution. There is some evidence that Nikolić abused his authority as Chief of Security of the Zvornik Brigade. However, Nikolić was of relatively low rank and his authority was limited. In all the circumstances, the Trial Chamber is not satisfied that abuse of authority as an aggravating factor, as envisaged under the jurisprudence of the Tribunal, has been established in his case. The Prosecution also argues that the zeal or enthusiasm demonstrated by the Accused in committing the crimes constitutes an aggravating factor. The Trial Chamber notes that there is some evidence that Nikolić was disturbed by what he was asked to do. While the evidence shows that Nikolić was determined and persistent in organising, planning and executing the murder operation, the Trial Chamber does not find that Nikolic carried out his role with a particular enthusiasm. Accordingly, the Trial Chamber does not consider that zeal has been established as an aggravating factor. During the course of this trial, Nikolic presented evidence of his good character. Several witnesses of both the Prosecution and the Defence testified that Nikolic was devoted and dedicated to his family, well-linked to his community, and never expressed any religious or inter-ethnic intolerance. Although the Trial Chamber considers Nikolic’s good character as a mitigating circumstance, given the gravity of the crimes for which he has been found responsible, it gives it very limited weight. Nikolić submits that he was a good soldier, who conscientiously discharged his duties and respected his superior officers. Given his active involvement in the commission of mass murder in the Zvornik area, the Trial Chamber gives no weight to this factor as a mitigating circumstance. As noted, voluntary surrender to the Tribunal may constitute a mitigating factor. While Nikolic surrendered to the Tribunal, he did so two and a half years after his indictment was made public. In light of the significant delay in Nikolić’s surrender, the Trial Chamber gives this limited weight as a mitigating factor. The Chamber notes that Nikolić admitted to having been “involved” in the “events” at Orahovac for which he says he bears “some responsibility”. Although he expressed no remorse, the Chamber gives some weight to Nikolić’s partial acceptance of his responsibility. Borovcanin submits that if he is found guilty of forcible transfer, the sentence should reflect his minimal role, given he had no say in the decision to forcibly transfer the Bosnian Muslims, and no realistic capacity to prevent it. At the time, he submits, there seemed to be many legitimate reasons to allow his units to participate in the operation, not least because with or without his cooperation, the transfer would still have been conducted by the VRS and DutchBat. As previously discussed, Borovcanin was not a member of the JCE to Forcibly Remove and he evidenced no intent to commit it. He had no advance knowledge of the plan to forcibly remove and he did not participate in the planning, organization or the execution of the initial stages of the plan. He was brought in late into the operation, after Srebrenica had fallen and when the plan to forcibly transfer was nearing completion. When he was ordered to assist with the physical transfer it was at a point where what Borovcanin faced was a humanitarian catastrophe of immense magnitude over which he had no control. In convicting Borovcanin for aiding and abetting forcible transfer, the Trial Chamber noted the jurisprudence of the Tribunal which makes intention—even in terms of intention to assist—not a relevant consideration. Although Borovcanin has been found responsible for forcible transfer through aiding and abetting, his intent may well have been solely to assist the population gathered there. In this regard, the Trial Chamber also notes that, in the circumstances, the only option open to Borovcanin was to withdraw his unit from Potocari. While by the jurisprudence he was obliged to do so, the practical reality is that given the late stage of his involvement, withdrawal would have altered nothing in terms of the forcible transfer and it would not have alleviated the misery of the Bosnian Muslims gathered in Potocari that day. In these very unusual and particular circumstances, the Trial Chamber considers that Borovcanin’s unique role in the forcible transfer diminishes the gravity of his involvement and is taken into account. The circumstances in which Borovcanin aided and abetted, by omission, the murder, extermination, and persecution of at least 1, 000 Bosnian Muslim men are particularly egregious. He was present at the scene when the busload of prisoners had already been murdered, and had observed enough to know that further crimes on a horrendous scale would probably be committed. Borovcanin’s failure to protect the approximately 1,000 Bosnian Muslim prisoners held in the Kravica Warehouse on 13 July is especially grave because so many lives were at stake and ultimately were lost. His choice to do nothing but extricate himself and eventually his men from the crime site, contributed to the atrocity that Kravica Warehouse is now synonymous with. The crimes for which Borovcanin has been found responsible are particularly heinous, and were part of a widespread and systematic campaign of terror and violence. However, in terms of assessing an appropriate sentence, the Trial Chamber must focus on Borovcanin’s specific criminal conduct and the role which he played in the commission of these crimes. With respect to the mass killing at Kravica Warehouse, Borovčanin bears responsibility for aiding and abetting by omission in failing to protect prisoners who had been in his custody. While recognising that the absence of a positive act does not in and of itself reduce the seriousness of criminal conduct, the Trial Chamber must look at the particular omission by Borovčanin and the circumstances he faced. The Trial Chamber has found that Borovčanin lacked the intent to kill and discriminatory intent. His mens rea is based on knowledge of the probable intent of others. Borovčanin had no advance knowledge of this horrendous murder operation nor did he have any involvement in its planning or organisation. He and his troops had arrived just prior to these events, in order to participate in a military operation, but were suddenly cast into unexpected roles. As found by the Trial Chamber, the events at the Kravica Warehouse arose suddenly and without warning from the perspective of Borovčanin. The decisions at the heart of his criminal omission were taken within a very short time period under extreme conditions. He also faced the challenges of his resubordinated role and the impact that had on his ability to exercise control in the situation. While none of these circumstances justify his criminal conduct, they do diminish the gravity of his omission to some limited extent and thus the Trial Chamber has taken them into account in determining the appropriate sentence for his crime. Borovcanin has been found responsible as well for the initial murders—the killing of the busload of Bosnian Muslim prisoners—at Kravica Warehouse through his failure as a superior to punish his troops. Such a failure is serious particularly given the grave nature of the crimes committed. However, the Trial Chamber notes that Borovčanin’s criminal failure occurred after the crimes had been committed and the Trial Chamber has taken that into consideration in determining an appropriate sentence. The Prosecution submits that Borovcanin abused his senior position as Deputy Commander of the RS MUP Special Police Brigade, and that this abuse of authority ought to be regarded as an aggravating circumstance. Borovcanin argues, however, that he had fewer than 200 men under his command on 12 and 13 July 1995, that he did not participate in any of the decisions that led to the forcible transfer or murder operations and that he had limited capacity to stop operations being directed by senior members of the VRS. It is clear that Borovčanin occupied a position of authority as a Deputy Commander of the MUP SBP and as the Commander of a joint force of MUP units. However, given the circumstances, including the role of the MUP units in the overall operation, the timing of his involvement and the nature of his acts and omissions, the Trial Chamber is not satisfied that Borovcanin abused his superior position in the MUP to commit crimes or encourage others to commit crimes. Thus, the Trial Chamber does not find that he abused his position and will therefore not consider this as an aggravating factor. The Prosecution submits that the period of time over which the crimes occurred should also be regarded as an aggravating factor, noting that the premeditated and systematic forcible transfer and murder operations were carried out with great speed, but over a long period of time, and with premeditation and zeal. On the other hand, Borovcanin submits that the events of 13 July 1995 happened abruptly and ended quickly. Having considered the nature and duration of Borovcanin’s involvement, the Trial Chamber rejects the Prosecution submission that Borovčanin committed these crimes over a long period of time. With regard to eagerness or zeal, which can be a relevant aggravating factor, the Trial Chamber finds that nothing before it shows that Borovcanin participated in the crimes committed with special eagerness or zeal. As such, the Trial Chamber does not consider this an aggravating factor. The Prosecution argues that Borovcanin’s interviews with the Prosecution as cooperation is negligible in light of the gravity of the offences charged. Borovcanin submits that his cooperation with the Prosecution ought to be regarded as a mitigating factor, noting Borovcanin’s interviews with the Prosecution in February and March 2002 and Borovcanin’s voluntary disclosure of the Petrovic video footage. Considering the length, detail, and content of the interviews and the nature of the video footage provided, the Trial Chamber finds that Borovcanin provided substantial cooperation to the Prosecution, regards this cooperation as a mitigating factor, and gives it some weight. As noted above, voluntary surrender to the Tribunal may constitute a mitigating factor. and a half years before finally surrendering. The Trial Chamber notes the relatively long period Borovcanin remained a fugitive before surrendering to the Tribunal and thus gives little weight to Borovcanin’s surrender as a mitigating factor. Borovcanin submits that his good character, as evidenced in part by his actions after the close of the war in BiH, including his contribution to the implementation of the Dayton Peace Accords, ought to be regarded as a mitigating factor. Borovcanin also submits that in July 1995 he was still suffering injuries from a previous mine incident and receiving intravenous infusions and that this should be taken into consideration in assessing measures or actions he could have taken during this period. A number of witnesses—both Defence and Prosecution—testified to Borovcanin’s good character noting that he was honest, kind, and well-respected. The Trial Chamber acknowledges this evidence and it has also considered the fact that Borovcanin was receiving intravenous infusions on 12 and 13 July. However, considering the serious nature of the crimes for which Borovcanin has been found guilty, the Trial Chamber will only give limited weight to Borovcanin’s good character as a mitigating factor and no weight to his medical condition. The Trial Chamber notes Borovcanin’s intent to distance himself and his men from guarding Bosnian Muslim prisoners as evidenced by the 15 July meeting at the Standard Barracks, when he expressly said that he did not wish his MUP units to guard the prisoners who were being captured or surrendering from the column. On 15 July, Borovcanin also proposed or agreed to opening the corridor in the area of Baljkovica in order to allow Bosnian Muslims to go through toward ABiH-held territory. The Trial Chamber takes these facts into account as a mitigating factor in sentencing. Miletic played a pivotal role in the plan to forcibly remove the Bosnian Muslims from Srebrenica and Zepa, and made continuous contributions at all stages. He drafted Directive 7, which set out the common plan. He participated in the processes by which the enclaves were incrementally deprived of sufficient humanitarian aid and through which the supplies and the forces of DutchBat and UKRCoy were depleted, creating an untenable situation for the population and incapacitating UNPROFOR. Miletić played the key role in receiving and distributing information from and to the relevant actors, both superior and subordinate, including the RS President. Through this function he enabled the plan to be successfully implemented, resulting in the forced removal of thousands of Bosnian Muslims from the enclaves. The Prosecution submits that Miletic was a “key member” of the VRS Main Staff and perpetrated his crimes through his position “at the apex of the VRS”. While the Trial Chamber has found Miletic was not in a command position, it is satisfied that through his pivotal coordinating role at the Main Staff, Miletic had a significant impact on the functioning and operation of the Main Staff and the VRS as a whole. In this role, Miletić clearly occupied a central position of authority. In the case of Miletić, he used the authority of his position, the trust placed in him by Milovanović and Mladić and the influence that brought, to organise and carry out the criminal plan to forcibly remove the Bosnian Muslim population from the enclaves. All of Miletić’s acts and contributions were cloaked with the authority of his position and it was that power which made them particularly effective. In these circumstances, the Trial Chamber finds by majority, Judge Kwon dissenting, that Miletic abused his position of authority within the Main Staff and the VRS and considers this to be an aggravating factor. The Prosecution further submits that the prolonged basis of the crimes for which Miletic has been found guilty, as well as that they were committed systematically, with premeditation and with zeal, should be considered an aggravating factor. The Trial Chamber has found that Miletic was involved in the Srebrenica and Zepa operations from the very beginning—he drafted Directive 7, which formed the basis for the attack on the enclaves. Thereafter, he remained closely involved during each subsequent step of the implementation of the plan: the restrictions of humanitarian aid resulting in a catastrophic humanitarian situation in the enclaves; the strangulation of UNPROFOR forces; the lead up to and aftermath of the military attack on Srebrenica; the military attack on Zepa; the execution of the plan’s final phase, the busing out of thousands of Bosnian Muslims from the Srebrenica and Zepa enclaves; and finally, the search for any remaining Bosnian Muslims in Zepa. The Trial Chamber, by majority, Judge Kwon dissenting, finds that Miletic’s participation was not only prolonged but also systematic, and gives some weight to the prolonged and systematic duration of Miletic’s criminal conduct as an aggravating factor. With regard to zeal and enthusiasm as submitted by the Prosecution, the Trial Chamber has found that Miletic carried out his tasks as the Chief of Operations and Training with dedication. The Prosecution has however failed to prove that this dedication amounted to an eagerness specifically to commit the crimes Miletic has been found guilty of. As such, the Trial Chamber does not consider this an aggravating factor. Finally, the Trial Chamber recalls the two meetings in 1999 and 2000 at the Zvornik Brigade Headquarters, during which Miletic appealed to the attendees not to provide any information related to the events in Srebrenica to the ICTY. The Trial Chamber considers these acts were aimed at obstructing justice, and more particularly at obstructing the work of the Tribunal, and gives due weight to them as an aggravating factor in the determination of Miletic’s sentence. circumstances and family situation of an accused may be considered as mitigating factors. However, in view of the grave nature of the crimes for which Miletic has been found guilty, the Trial Chamber accords these circumstances only limited weight in the determination of Miletic’s sentence. Miletic furthermore called several witnesses who testified that he is a “mild” and “honourable” man, a “highly professional officer”, and “never expressed intolerance towards members of other nations, races or religions.” Given the circumstances of this case and the gravity of the crimes committed, which caused irreparable harm to thousands of Bosnian Muslims, the Trial Chamber gives very limited weight to Miletic’s purported good character as a mitigating factor. Miletic further refers to his voluntary surrender to the Tribunal as a mitigating factor, which is supported by an official declaration of the Serbian authorities. The Prosecution does not contest that Miletic surrendered voluntarily. The Trial Chamber further notes that the Indictment against Miletic was made public on 25 February 2005 and that Miletic was transferred to the Tribunal on 28 February 2005. The Trial Chamber is satisfied that Miletic voluntary surrendered and takes this into account as a mitigating factor for the determination of his sentence. Gvero had detailed knowledge of the strategic aim to remove the Bosnian Muslim population from the enclaves and, through his efforts to delay and block international protective intervention, made a significant contribution to the common purpose of the JCE to Forcibly Remove. However, the Trial Chamber finds that Gvero’s contribution to the JCE was not decisive for the implementation of the common purpose. Gvero’s contributions to the JCE were not numerous and there is no evidence of his involvement in the decision-making process with regard to any military action relating to the plan. The Prosecution further argues that the prolonged duration and the systematic method of commission of the crimes should also be considered as aggravating factors. The Trial Chamber has found that Gvero had knowledge of and participated in the JCE to Forcibly Remove from its inception. His involvement was not limited to the initial stages of the plan, but continued throughout its implementation.6336 However, particularly in light of the nature and extent of Gvero’s contribution to the JCE, the Trial Chamber does not consider the duration of Gvero’s criminal conduct as an aggravating factor in sentencing. The Prosecution also argues that zeal and enthusiasm can be relevant aggravating factors in sentencing. Gvero’s role as Assistant Commander for Morale, Legal and Religious Affairs mainly involved propaganda activities. The Trial Chamber finds there is insufficient evidence indicating that Gvero displayed any particular zeal or enthusiasm with reference to his criminal activity. The Trial Chamber does not consider this as an aggravating factor in sentencing. Gvero submits that his voluntary surrender to the Tribunal should be considered a mitigating circumstance. The Trial Chamber has previously noted that Gvero voluntarily surrendered and the Prosecution does not contest this. The Trial Chamber therefore considers Gvero’s voluntary surrender as a mitigating factor in determining his sentence. Gvero further submits that his age combined with his deteriorating health ought to be regarded as a mitigating factor when determining his sentence. The Prosecution argues that the personal circumstances of Gvero’s age and the fact that he has a family are “trivial” when considered with reference to the crimes committed and should not materially decrease the appropriate sentence. While recognising that the balance must take into account the gravity of crimes, the Trial Chamber acknowledges that the personal circumstances of an accused may be considered as mitigating factors. The Trial Chamber has considered Gvero’s combined advanced age and medical conditions and accords these factors some weight in the determination of his sentence. Gvero also makes reference to some evidence presented during this trial in support of his good character, professionalism and inclination towards cooperation. Considering the nature of the crimes Gvero has been found responsible for, the Trial Chamber gives very limited weight to Gvero’s purported good character as a mitigating factor. At the outset, the Trial Chamber emphasizes the serious and grave nature of the crimes for which Pandurevi} has been found responsible. These crimes are normally associated with heavy sentences. However, in more than one respect, Pandurevi}’s case presents an uncommon and extraordinary set of facts and circumstances. The Trial Chamber thus must consider the particular circumstances of the case as well as Pandurevic’s criminal conduct generally and the specific role he played in the commission of these crimes in determining an appropriate sentence. Pandurevic was not a participant in the JCE to Forcibly Remove. He did not share the intent to carry out this common purpose. He was not present in Potocari during the transfer operation, nor was he involved in any respect in the planning and design of the operation. His responsibility for the crime of forcible transfer arises not from direct participation in the forcible transfer but instead from his participation in the Krivaja-95 military operation. The Trial Chamber has found that Pandurevic participated in the Krivaja-95 Operation with the knowledge of the criminal plan to forcibly remove the Bosnian Muslim populations of the enclaves and with the knowledge that his acts provided practical assistance to the commission of forcible transfer of the Bosnian Muslim population of the Srebrenica enclave. Pandurevic, however, participated in the military operation also with the knowledge that it had legitimate military objectives in relation to defeating the ABiH. In this regard, the Trial Chamber is particularly mindful of the dual purpose of the Krivaja-95 Operation and Pandurevic’s role as a military commander, acting at a tactical level carrying out arguably justifiable military objectives. In light of these considerations, the Trial Chamber finds that the limited nature of Pandurevic’s involvement in the forcible transfer diminishes the gravity of his criminal conduct and this has been taken into account in determining his sentence for this crime. Pandurevic was not a participant in the JCE to Murder. He neither shared the intent to carry out its common purpose, nor did he significantly contribute to it. He had no advance knowledge of the heinous murder operation nor did he have any involvement in its planning or execution. The Trial Chamber recalls that Pandurevic was absent from the area of the Zvornik and engaged in military operations during the first half of July and that he returned only after the murder operation being carried out in the area of Zvornik was well underway and a significant number of prisoners had already been executed. With regard to the crime of murder, the Trial Chamber has found, by majority, Judge Kwon dissenting, Pandurevic responsible for his omission on one occasion. His responsibility for this arises not from any positive, intentional acts on his part, but instead from his failure to discharge his legal duty to protect the wounded prisoners from Milici Hospital. The Trial Chamber notes that a failure to fulfil a legal duty is a serious form of responsibility, particularly when it contributes, as in this case, to murder. Pandurevic’s omission thus cannot be trivialized. However, the Trial Chamber has also taken into account the circumstances which Pandurevic faced—including the high level authorities behind the murder operation—and the nature of his omission. In the view of the Trial Chamber, these factors diminish the gravity of his omission to some limited extent and this has been taken into account in determining his sentence for this crime. The Trial Chamber has also found that, as a superior within the meaning of Article 7(3) of the Statute, Pandurevic failed to take the necessary and reasonable measures required to prevent his subordinates’ crimes of murder and aiding and abetting murder on 15 and 16 July. His failure to prevent was of a very serious nature in that it related to involvement by his troops in a large scale murder operation. At the same time, the Trial Chamber notes the circumstances surrounding this failure, in particular his recent return to the area and the other pressing tasks he faced. The Trial Chamber has considered all these factors in determining an appropriate penalty. The Prosecution submits that Pandurevic, as Commander of the Zvornik Brigade, was in a senior command position and abused his command authority to commit the crimes with which he is charged. The Trial Chamber has found that Pandurevic held a senior command position within the VRS as the Commander of the Zvornik Brigade. However, given the military character of his contribution in support of the forcible transfer and the nature of his responsibility with respect to murder, the evidence does not demonstrate that Pandurevic abused his position in committing these crimes and therefore the Trial Chamber does not consider this as an aggravating factor. Additionally, the Prosecution submits that Pandurevic’s prolonged and systematic participation in the crimes he is charged with should be considered aggravating circumstances. Having considered the nature and duration of Pandurevic’s involvement in the crimes of which he has been found guilty, the Trial Chamber finds that his acts and omissions in no way constitute prolonged or systematic participation so as to be an aggravating factor. The Prosecution also argues that the zeal or enthusiasm demonstrated by the Accused in committing the crimes constitute aggravating factors. The Trial Chamber notes that it has found that Pandurevic lacked the intent to carry out the common purpose of the JCE to Murder and the JCE to Forcibly Remove and that his convictions rest on his knowledge of the intent of others, his failure to protect prisoners in his custody or to prevent the criminal conduct of his subordinates. The Trial Chamber finds that overall there is absolutely no evidence that Pandurevic participated in the crimes for which he has been found responsible with eagerness or zeal. Accordingly, the Trial Chamber does not consider this as an aggravating factor. In addition to the limited extent of his involvement in the crimes, the Trial Chamber also considers that Pandurevi}’s act of opening the corridor at Baljkovica on 16 July requires consideration as a mitigating factor. At a time in which other VRS members were actively hunting down, capturing, and executing Bosnian Muslim men without mercy and pursuing a genocidal plan, Pandurevic’s decision to open the corridor and enable the safe passage of thousands of Bosnian Muslim men is striking. In doing so, thousands of men were potentially spared. He took this decision in contravention of the orders from his superiors and with the knowledge that it would potentially put him in jeopardy. Pandurevic’s action in this regard stands out as an instance of courage and humanity in a period typified by human weakness, cruelty, and depravity. The Prosecution submits that Pandurevic’s decision to open a corridor to allow the column to pass was not taken on humanitarian grounds, but out of military necessity. However, in the view of the Trial Chamber, even if Pandurevic’s motivations in opening the corridor included military considerations and protecting Serb lives, this does not detract from the fact that objectively he saved thousands of lives. The Trial Chamber is overall convinced that Pandurevic’s action in opening the corridor was a clear and compelling instance of assistance to potential victims. In addition to his actions in Baljkovica, the Trial Chamber also considers the Interim Combat Reports for 15 and 18 July to have been brave acts on the part of Pandurevic. As found previously, these reports represent the sole instance where a senior member of the VRS, in writing, challenged the Superior Command about the murder operation. Ultimately, the Trial Chamber therefore gives significant weight to these acts by Pandurevic as mitigating factors in the determination of his sentence. In addition to his conduct at Baljkovica in July 1995, Pandurevic submits that on a number of other occasions during the war, he protected Bosnian Muslims from serious harm as well as acted with considerable tolerance towards Bosnian Muslims, evidencing his “lack of prejudice and general good character”. In regard to Pandurevic’s submissions on his assistance to victims, the Prosecution submits that the evidence presented by him “hold zero value” and that his sentence should not be reduced based upon it. The Trial Chamber has considered and accepts this other evidence of Pandurevic’s good character but gives only limited weight to it as a mitigating factor. With regard to voluntary surrender as a possible mitigating factor, the Prosecution submits Pandurevic was a fugitive from justice for almost three and a half years. Pandurevic testified that he did not surrender immediately after learning about the Indictment because he wanted to wait until his two sons had reached an age when he could explain to them the reasons why he had to leave. The Trial Chamber recalls that it has previously accepted that Pandurevic voluntarily surrendered to the Tribunal. However, the Trial Chamber finds it necessary to also consider the circumstances of the surrender when determining the weight to be given to this factor. In this regard, the Trial Chamber notes the long period Pandurevic remained at large prior to surrendering and the fact that he made his surrender conditional. The Trial Chamber further notes that Pandurevic provided unsubstantiated and generalized reasons for not surrendering prior to 2005. In light of the significant delay in Pandurevic’s surrender, the Trial Chamber gives only limited weight to it as a mitigating factor. The Prosecution further submits that the fact that Pandurevic has a family is “trivial” in the balance with the crimes committed and should not substantially decrease Pandurevic’s punishment. In view of the grave nature of the crimes for which Pandurevic has been found guilty, the Trial Chamber gives limited weight to Pandurevic’s family situation as a mitigating circumstance. Count 6: Persecution, as a crime against humanity. ... Having given due weight to the mitigating factors, nonetheless, in the face of the grave nature of the crimes perpetrated and Vujadin Popović’s significant responsibility for them, the Trial Chamber considers that the only appropriate sentence for him is life imprisonment. ... Having given due weight to the mitigating factors, nonetheless, in the face of the grave nature of the crimes perpetrated and Ljubiša Beara’s central responsibility for them, the Trial Chamber considers that the only appropriate sentence for him is life imprisonment. ... Having given due weight to the mitigating factors, nonetheless, in the face of the grave nature of the crimes perpetrated and Nikolić’s responsibility for them, the Trial Chamber finds that Nikolić’s actions warrant a severe penalty. The Trial Chamber sentences Drago Nikolić to a sentence of 35 years of imprisonment. Count 7: Inhumane Acts (forcible transfer), a crime against humanity by majority, Judge Kwon dissenting. Count 5: Murder, as a violation of the laws or customs of war. Count 4: Murder, as a crime against humanity. ... Having considered all the aforementioned circumstances, the Trial Chamber finds that a sentence of 17 years of imprisonment appropriately reflects the extent of Ljubomir Borovčanin’s criminal responsibility. Count 7: Inhumane Acts (forcible transfer), a crime against humanity. ... Having considered all the aforementioned circumstances, the Trial Chamber finds that a sentence of 19 years of imprisonment appropriately reflects the extent of Radivoje Miletić’s criminal responsibility. ... Having considered all the aforementioned circumstances, the Trial Chamber finds that a sentence of 5 years of imprisonment appropriately reflects the extent of Milan Gvero’s criminal responsibility. WHO IGNITED THE WAR? IZETBEGOVIC or KARADZIC?